All around the world, the landscaping industry runs on Cat® equipment. You’ll find the company’s excavators, skid steer loaders and other machines hard at work in both residential and commercial job sites of any size. Thanks to the brand’s popularity, there is no shortage of used parts for Cat landscaping equipment. And, the legendary build quality of Cat machines means you can count on used parts to deliver similar performance to new for years to come. Used parts are a viable alternative to new when your fleet requires repairs or maintenance. In eastern North Carolina, only Gregory Poole has the selection and the factory-trained expertise to match you with the best used parts for your budget. In a competitive economy, you can’t risk angering a client with unexpected delays. Your reputation rests on your ability to get the job done on time and on budget. When repairs are necessary, the faster you can get back to full working capacity, the better it is for your business. One advantage of buying used landscaping equipment parts is you save time. We can often get you the parts you need in 24 hours. You can avoid delays that backorders or other issues often cause when buying new. For machine components with multiple individual parts, buying a complete used assembly will give you everything you need to get the job done. You reduce the risk of a missing or incorrectly ordered item setting you back further. As the exclusive Cat dealership in the eastern portion of North Carolina, Gregory Poole is uniquely qualified to help you meet all of your used heavy equipment parts needs. 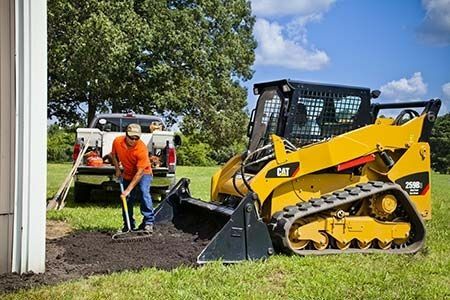 We have a large selection of parts available for some of the most popular Cat landscaping machines. We can also source items from our nationwide network of dealer partners. Our team of technicians inspect all items before we deliver them, so you know you are getting a part that’s in great condition for its age. Whether you need a small piece of hardware or a major machine component, Gregory Poole takes the risk out of buying used. Contact us today for all of your used parts needs!